Washington must decide whether it can continue to partner with Pakistan or whether it should more openly confront Islamabad. Trump administration is on the cusp of making three crucial decisions about the sixteen-year war in Afghanistan and the related matter of how to manage the tempestuous relationship with Pakistan, thought by many to hold the key to peace in Afghanistan. These decisions will go far in determining whether America can successfully conclude its military adventure in Afghanistan and lay the groundwork for a more stable and peaceful South Asia. The administration will unveil its new strategy for Afghanistan within days. In a separate but closely related matter, Washington must decide whether it can continue to partner with Pakistan, Afghanistan’s neighbor to the east, or whether it should more openly confront nuclear-armed Pakistan for its long-running support for the Taliban and other allied groups, such as the Haqqani network. Finally, the State Department must decide whether to keep the stand-alone Office of the Special Representative for Afghanistan and Pakistan, which it inherited from the Obama administration, or fold it into the normal bureaucratic structure of the department. This is not simply a routine organizational shake-up. The outcome will heavily influence how the administration thinks about the related Afghanistan and Pakistan crises. The Doklam standoff is just the beginning of challenging times for India. High in the Himalayas, Indian and Chinese forces stare each other down in the midst of the most intense standoff between the two nations in the last three decades. Though the territory is unique and unfamiliar to many, the situation is commonplace; aggressive Chinese expansionism, motivated by nationalistic furor, is being carried out under the guise of obscure territorial claims. This kind of behavior from Beijing is nothing new; the same can be said of New Delhi’s response. Put in concert with the continuing freeze in India-China relations and the broader geopolitical competition between two rising powers, the Doklam standoff seems quite neatly (albeit worryingly) laid out. But however compelling this narrative might be, it is a mistake to view the conflict only through the prism of India-China competition and ignore the underlying Indian domestic politics of this current crisis: the challenge of Northeast India. Understanding the larger context of the Northeast’s importance to India highlights just what is at stake here for the nation. The basic facts of this dispute are now clear, even if the precise geography is not. In June, Indian forces crossed an established border between the state of Sikkim and the Tibet Autonomous Region in reaction to China building roads through territory claimed by both China and the Kingdom of Bhutan. Besides a longstanding commitment to guiding and defending Bhutan’s interests, much has been made of India’s larger domestic motivation in this conflict. Chinese expansion in the area pushes the country ever closer to the Siliguri Corridoror “Chicken’s Neck,” a narrow strip of land that serves as the only connection between Northeast India and the rest of the country. Despite it being perhaps the primary motivating factor in a dangerous and complex crisis, little attention has been paid to the region of the Northeast itself. Understanding its unique situation is key to understanding the forces behind Doklam. The Indian Defense Ministry has contradicted reports of Chinese troop mobilization on the border. In a statement on Wednesday, the ministry said there had only been a general state of alert on the Chinese side and a routine annual military exercise was held near Lhasa, the Tibetan capital, in June. This is despite a report by People’s Daily on Wednesday citing “expert” opinions that China’s “recent military moves along the Sino-Indian border … have sent a strong message to India amid the two nations’ standoff”. However, New Delhi is studiously playing down the border tensions. The government has taken exception to Indian media hyping the standoff with China. Unnamed army sources in Delhi disclosed on Wednesday that no flag meetings as such had taken place between local commanders and that the standoff was being discussed at the “highest level” of the government. India’s insecurities and China’s indignant conviction have contributed to a state of absolute gridlock at Doklam. Since mid-June, scores of Indian and Chinese troops have reportedly been locked in a standoff on a piece of territory claimed by China and Bhutan. Though the dispute between the two nuclear-armed rising Asian giants might appear to be a bilateral affair, the dispute in question is a tripartite one, as it involves the tiny Himalayan kingdom of Bhutan at its center: the terrain in question is claimed by Bhutan, which has long had a special and privileged relationship with New Delhi while having no diplomatic ties with Beijing. As of this writing in mid-July, China’s position remains that diplomacy can only be possible after India unilaterally withdraws its troops back to its side of the international border and the standoff appears no closer to a resolution. Last week, in the first installment in this series, I explored the political geography of the obscure slice of Himalayan terrain at the center of the ongoing standoff between India and China: the Doklam triboundary region, or the Dolam plateau. Given the obscurity of the geography under contention and the lack of robust historical information about the origin of Indian, Chinese, and Bhutanese claims, the place to begin in understanding the standoff at Doklam is a map — or multiple maps, to be precise. This week, I turn to more granular questions of the strategic stakes for each side that have resulted in effective gridlock between India and Chinese troops at Doklam. PESHAWAR, Pakistan — When a fake sewage tanker truck carrying 3,000 pounds of explosives managed to reach a high-security district of Kabul on May 30, then detonated a huge bomb that left 150 people dead and 400 wounded, no insurgent or terror group claimed responsibility. But immediately, the rumors began to spread. The Haqqanis. It had to be the Haqqani Network, people said. No one else could have pulled off such a precise and spectacular crime. The Afghan intelligence police soon publicly accused them too, adding that they had gotten help from Pakistan’s spy agency. Six weeks later, the bombing still remains unclaimed, and the Afghan capital is still reeling from it. By rights, the Haqqanis should be barely standing. For years, this clan-based Taliban offshoot has been a high-priority target for Afghan forces and their U.S.-led allies. The group’s charismatic founder, Jalaluddin Haqqani, is believed to have died of illness, and most of his sons and senior commanders have either been killed or imprisoned. Pakistan, which once allowed the Haqqanis to rule their own “ministate” in the border badlands, now claims to have driven them out. On Friday, Indonesia announced that it had renamed a resource-rich northern portion around its Natuna Islands, which lie in the southern end of the South China Sea, as the North Natuna Sea. The move, which was part of the unveiling of an updated national map that was months in the making, reflects the Southeast Asian state’s determination to safeguard its claims even amid the lingering challenges inherent in doing so. Although Indonesia is not a claimant to the South China Sea disputes strictly speaking, it has nonetheless been an interested party, especially since China’s nine-dash line overlaps with Indonesia’s exclusive economic zone (EEZ) around the resource-rich Natuna Islands. Chinese leader Mao Zedong not only built a strong country but also outlined a global goal: "We must conquer the globe where we will create a powerful state." Today, China has territorial claims to all its neighbors. Naturally, the U.S. is dreaming of becoming a mediator in resolving disputes in the region. But it seems that Beijing absolutely does not care about their opinion. Burma, Laos, Northern India, Vietnam, Nepal, Bhutan, Thailand, Malaysia, Singapore, the Ryukyu Islands, 300 islands of the South China, East China and Yellow Seas, as well as Kyrgyzstan, Mongolia, Taiwan, South Kazakhstan, the Afghan province of Bahdashan, Transbaikalia and the Far East to South Okhotsk - here is the complete list of areas that, according to Zedong, were lost due to the fall of the Qing empire. All of these countries and regions combined exceed the territory of modern China. Not all complaints are voiced by the Government of China in the international arena, but within the country the imperialist ambitions have not been lost, but rather, are actively promoted. The PRC authorities talk out loud only about the areas that, at least theoretically, can be taken away from Japan and Korea. Tokyo is regularly frustrated not only because of the travel of the Russian leaders to the Kuril Islands, but also about the Chinese ships freely entering the disputed Senkaku Islands waters. Beijing believes that the Islands are called Diaoyu, and they belonged to China, but the malicious Japanese tricked the U.S. into giving them to Japan because after World War II the uninhabited archipelago was in the US jurisdiction. China-India military confrontation in the High Himalayas as a consequence of China’s military occupation of Tibet in 1950 and the unprovoked Chinese invasion of India in end 1962 has in 2015 graduated from a boundary dispute to an intense geopolitical tussle in Asia’s geopolitical rivalries. This was the main thrust of my Book last year entitled “China-India Military Confrontation: 21stCentury Perspectives” that stands greatly reinforced in 2017. Geopolitical compulsions seem to be the driving force of China indulging in confrontation with Indian Troops in the Dokalam Plateau after militarily coercing the Royal Bhutan Army border patrols there. China’s military standoff here is aimed at questioning India’s geopolitical and geostrategic Special Relationship with Bhutan. China also is testing India’s political will to militarily sustain this Special Relationship. Geopolitics seem to be in full play by China relative to the Dokalam Plateau standoff where China has implicitly threatened that China could generate disturbances for India in Sikkim, Bhutan and the Kashmir Valley. Only yesterday, the J&K Chief Minister openly declared in New Delhi that China was involved in the Kashmir Valley unrest. This was foreseen in relation to the CEC alignment. China has therefore now added new dimensions to the China-India military confrontation which so far stood confined to the India-China Occupied Tibet borders. China has begun commercial production of its CH-5 Rainbow drone, signalling its readiness to peddle the heavy military drone in the international market for half the price of its supposed rival – the US’ unmanned aerial vehicle MQ-9 Reaper. The first flight of a mass-produced CH-5 Rainbow on Friday last week indicated that China was preparing to export it, said Wang Song, an associate professor with the school of aeronautic science and engineering at China’s Beihang University. He claimed that the drone is on par with the US General Atomics MQ-9 Reaper, which could attack targets on the ground, but at around half the cost. But, at $16.9 million, the world’s most expensive US drone still has an edge, the Hong Kong-based South China Morning Post cited Wang as saying. The Reaper can rise up to a height of between 12,000 and 15,000 metres, allowing the US drone to stay above the reach of most ground fire. The CH – 5 built with a relatively weaker engine, on the other hand, cannot operate at more than 9,000 m, which makes it susceptible to attack by some anti-aircraft weaponry. Wang noted that China still lagged behind the West in aircraft engine technology. The CH-5 can conduct reconnaissance, surveillance, patrol, target positioning and strike missions, said Shi Wen, chief engineer of the Rainbow drone project at the China Academy of Aerospace Aerodynamics. “We’ve made several modifications after its debut, and its comprehensive functions are among the world’s best,” Shi Wen claimed. WILL IRAN WIN THE TECHNOLOGY WAR? Israel urgently needs a strategic plan to maintain the technological advantage over nations dedicated to wiping out the Jewish state. MILITARY INTELLIGENCE chief Maj.- Gen. Herzl Halevi bears a heavy burden. This “philosopher general,” as a New York Times journalist once called him, is responsible for tracking the deeds, words and even thoughts of Israel’s foes, alerting political and military leaders to potential threats. Halevi’s undergraduate degree is in philosophy. The battle of Mosul is over, but the war against the Islamic State is far from done. The militants have lost some 60 percent of the territory they controlled at the peak of their expansion, but that leaves a sizable area, mostly in Syria but also Iraq, to be recaptured. Much of it is uninhabited desert, but significant towns and cities in both countries, and almost a whole province in Syria, remain in the militants’ hands. Among them are staunch Islamic State strongholds, located in some of the most remote terrain of the war. In some instances, it isn’t yet clear which forces will undertake the battles, and potential local and international flash points lie ahead as competing powers vie for the chance to control territory. In throwing Bashar al-Assad a bone—breaking with his predecessors—the new French president is emerging as potentially the world’s most powerful foreign-policy realist. When historians look back on the European Union’s July 17 move to sanctionSyrian scientists and military personnel over alleged use of chemical weapons, it may be remembered as another failed half-measure by the West to pressure Syrian president Bashar al-Assad out of power. That’s because one man, new French president Emmanuel Macron, is potentially changing the game on the Syria question, having thrown Assad a life-preserver last month by declaring he sees “no legitimate successor” to the Alawite strongman. Volunteer battalions represent a legitimacy dilemma for the Ukrainian government. Since the conclusion of Maidan, politically motivated private security actors operating in parallel with the Ukrainian government have played an integral part in the country’s security landscape. While some have been cooperating with Ukrainian authorities, others experience great friction with the Ukrainian Armed Forces (UAF) and Ministry of Interior Affairs (MIA), undermining the formal security structures of the Ukrainian government. It seems that political and military power have become inseparable at the unit level, with many battalion commanders also being career politicians or parliamentary members. The term “volunteer battalion” is common vernacular in the context of post-Maidan Ukraine. While the term may seem straightforward to anyone with a basic familiarity of the conflict in eastern Ukraine, it encompasses a wide range of units active and inactive in the Anti-Terrorist Operation (ATO) zone today. Effectively, these units can be viewed along an axis of patronage, with those relying on the government as the primary patron representing the formal units, and those that rely on civil society representing the independent units. Frictions with the government and lasting connections to political entities—a result of a haphazard, and in some instances nonexistent, reorganization effort—raise questions about the allegiances of these units. If unchecked, some of these units will erode the legitimacy of the Ukrainian security institutions. According to the CBO, fiscal reality is coming, and far faster than most Washington policymakers appear to realize. Republican presidents and Congresses claim to support fiscal responsibility and balanced budgets. Yet the previous GOP president, George W. Bush, was a wild spender. The Republican-controlled Congress that served alongside him was no better. So too it looks to be the case with President Donald Trump and the current GOP-dominated legislative branch. The former doesn’t want to touch entitlements. The latter doesn’t like the big cuts President Trump proposed in discretionary outlays in areas such as the State Department. And most of the Republicans are clamoring to fill the Pentagon’s coffers: the only question is how much, how quickly. These nominally “conservative” spendthrifts act like they have no choice but to foist money onto the military. They rightly worry about a mismatch between foreign policy and force structure. But America’s expansive international intervention is discretionary, not mandatory. No security imperative requires defending prosperous and populous allies in Asia, Europe and the Middle East, fighting other nations’ battles in Africa and the Middle East, engaging in seemingly endless nation building in Central Asia and the Middle East, and treating the slightest instability anywhere as a summons to act. “Mission Command” as a principle is largely discussed within the framework of a tactical environment. This is a natural occurrence given the profession – as Army officers, particularly among maneuver officers, we naturally try to frame “mission command” as a set of tools for improving unit performance and the attainment of specified outcomes (i.e. mission accomplishment). Where previous articles highlighted tactical employment of mission command (here and here), this article discusses implementing the philosophy of mission command in an organization’s daily activities. The full potential of mission command cannot be realized unless it is approached as a philosophy. By the time mission command occurs in a tactical environment, it is often too late to build cohesive teams based on trust and mutual understanding- especially if trust is to be earned based on demonstrated performance as the one author alludes to. Building teams and shared understanding must occur long before deployment and both reflect an organization’s culture. Mission command as a philosophy should drive an organization’s culture, beginning critically with how it receives and integrates new leaders into its ranks. 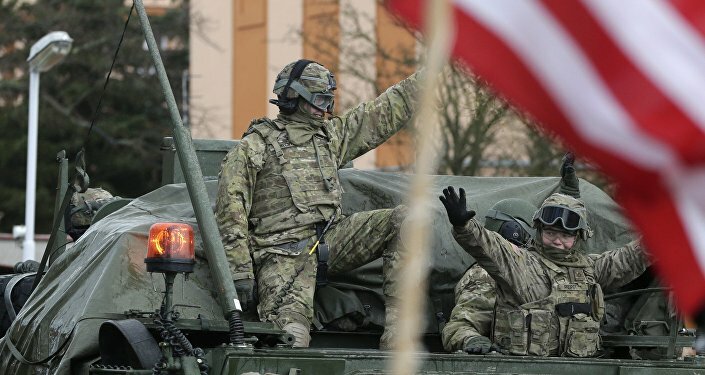 As the highest tactical level unit in the army, the battalion is a good focal point for examining how a philosophical approach to mission command sets the necessary preconditions for its application in tactical environments. Doing so also highlights the important role of the battalion commander has in using mission command principals to shape organizational norms and develop lieutenants. Donald Trump's administration is finalizing plans to revolutionize the US' military command for defensive and offensive cyber operations, in hopes of intensifying America's ability to wage cyberwar against foes such as Daesh. Serious questions abound as to whether Cyber Command can function as an independent entity, however. Under the plans, the Cyber Command would eventually be split off from intelligence-focused National Security Agency. The Command was created in 2009 to address cyber espionage and other digital threats, under US Strategic Command — originally intended to involve only a few hundred staff, but as of July 2017 it is home to over 700 employees. Trump's plans could see it expand to several thousand — likewise, US military services' own cyber units have a goal of growing to 133 fully operational teams manned by as many as 6,200 in time. Full, concrete details remain elusive, and officials aren't authorized to speak publicly on the matter at present, but a decision and announcement is expected before the end of the summer. The goal is to give Cyber Command greater autonomy, freeing it from any constraints that stem from working alongside the NSA, which is responsible for monitoring and collecting telephone, internet and other intelligence data from around the world. These responsibilities have been found to clash with military operations on occasion. In any event, the NSA is an intelligence-collection organization, while Cyber Command is intended to have direct operational capabilities. NEWPORT, RI — U.S. 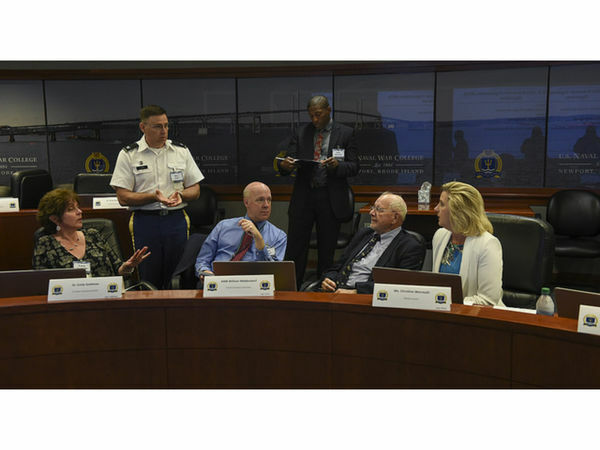 Naval War College (NWC), Newport, Rhode Island welcomed to campus elected officials, business and government leaders, and military members to conduct a wargame focused on civilian cyber attacks and their effects. The Navy-Private Sector Critical Infrastructure Wargame brought together approximately 140 personnel including senior executives and information security officers from private industry across 14 critical infrastructure sectors to collect insights surrounding the impact on the U.S. Navy and Department of Defense that may result from cyber-related disruptions on commercial businesses. “Our intent was to try to better understand what the role of the Department of Defense would be in attacks against critical infrastructure,” said Jacquelyn Schneider, professor in Strategic and Operational Research and game director for the event. “Right now, national policies are a little bit vague. There is little understanding what the role of the DoD would be in the case of a significant cyber attack. We want to make it more clear.” The aim was to better understand the delegation of responsibilities and capabilities to defend and deter cyber threats to U.S. critical infrastructure while building relationships between key decision makers to facilitate future cyber policy responsibilities, Schneider added. With a focus on civilian and defense cooperation, the game may also help inform future policy. How should nations collaborate in cyberspace? Can a nation like the U.S. and one like Russia bridge their views on data collection? What’s the future of artificial intelligence? The Cipher Brief’s Kaitlin Lavinder talked with Michael Daniel, former special assistant to President Barack Obama and cybersecurity coordinator at the White House, to get his take. Michael is now president of the Cyber Threat Alliance, a group of cybersecurity practitioners who work together to share threat information. The Cipher Brief: At The Cipher Brief’s annual threat conference this June in Sea Island, Georgia, NSA Research Director Deborah Frincke talked about the necessity of collaborating with international partners on cybersecurity issues. What’s your take on that? Did you implement that during the Obama Administration – how? Michael Daniel: It’s absolutely critical to have international collaboration on cybersecurity issues for a whole bunch of reasons. The obvious one is that cyber issues just don’t respect international boundaries. Most cyber crime actually crosses international boundaries; nation state activity crosses international boundaries. So if you want to have any sort of hope of addressing the issue, you have to do it in an international context.